The Cvent Wichita meeting planning guide is a comprehensive city guide for Wichita meeting planning professionals. 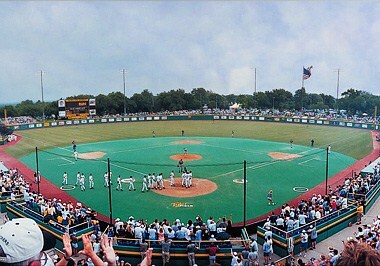 Wichita is a world-class city with its own unique flavor: Boasting big-city amenities at Heartland prices, Wichita event venues combine a multitude of unique spaces, great attractions, and vibrant culture with an accessible location. Situated at the junction of four major highways, three hours southwest of Kansas City and 2.5 hours north of Oklahoma City, Wichita is the largest city in Kansas, as well as a center of culture and entertainment. 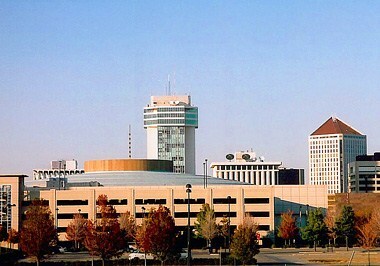 The city is home to the Wichita Mid-Continent Airport, which serves the south-central Kansas region. The airport provides nonstop air service to several major U.S. cities and is located just 10 minutes from downtown. The airport provides public bus service to downtown Wichita via the Wichita Transit Bus System. Operating 17 routes throughout the Wichita area, the bus system also provides direct access to the downtown Century II Performing Arts & Convention Center. Century II Performing Arts & Convention Center sits along the east bank of the Arkansas River, making the center’s location a perfect marriage of parkland and urban downtown. 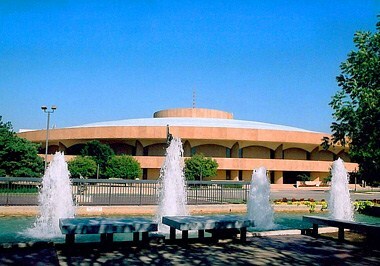 The center features more than 200,000 square feet of exhibition space, with such sites as its 2,197-seat concert hall; a 45,000-square-foot exhibition hall, complete with downtown views; and a 32,000-square-foot convention hall, which offers tiered seating capability for 4,786 guests. 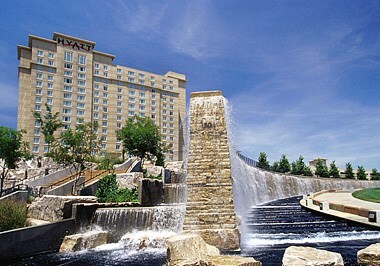 Century II is connected to the 303-room Hyatt Regency Wichita, which offers 28 meeting rooms of its own. Unique Wichita facilities for special events include the impressive Kansas Aviation Museum, which celebrates Wichita’s heyday as a major mid-continent air travel location and showcases the state’s aviation history. The museum is home to a world-class collection of historically significant, one-of-a kind aircraft and engines, as well as such private event spaces as a conference room, atrium and even a control tower. Elsewhere, the scientifically engaging Exploration Place welcomes visitors to take part in hands-on exhibits, as well as hold private events throughout its series of meeting rooms, halls, theater and main lobby, set against stunning views of downtown Wichita and the Arkansas River. The Wichita Art Museum, the largest art museum in Kansas, is home to one of the country’s finest collections of American art, expansive glassworks collection and a number of private event spaces. The Museum of World Treasures welcomes private group events in the same complex that houses Egyptian mummies to an ancient sea reptile. Botanica, The Wichita Gardens specializes in special events amid ever-changing scenery, 24 themed gardens and a greenhouse bursting with exotic tropical plants. Founded as a cattle town, today's Wichita is a center of manufacturing and healthcare, as well as a culture- and attraction-rich destination. Wichita's vibrant downtown district celebrates the city's rich history and its future, as do many of the city's 35 museums. Wichita's expansive cultural and entertainment scene also spans a variety of theaters, art galleries and shopping centers. 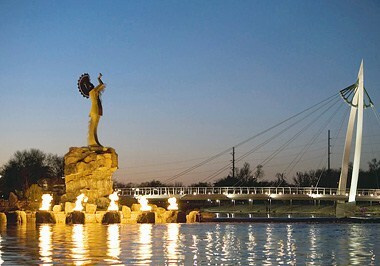 Wichita's heritage is woven throughout its attractions, including the iconic Keeper of the Plains statue, located at the confluence of the Arkansas and Little Arkansas rivers. The statue pays tribute to the region's Native-American heritage, while Keeper Plaza incorporates the four elements that make up life, including earth, air, fire and water. Many of Wichita's attractions and meeting spaces celebrate other aspects of the city's heritage. One such attraction is the Kansas African American Museum, which tells the story of the African-American experience in Kansas. The museum is housed in the historic Calvary Baptist Church, which once served as the cornerstone of Wichita's African-American community. Several Wichita attractions transport visitors to faraway lands and animal habitats. Regarded as the most popular outdoor attraction in the state, the Sedgwick County Zoo is home to more than 2,500 different animals from around the world. Visitors can explore such spaces as the Downing Gorilla Forest, which replicates central African forest; and South American-inspired Cessna Penguin Cove. Another popular area attraction, the Tanganyika Wildlife Park is home to a few hundred animals ranging from snow leopards to red pandas. The park's immersive and hands-on exhibits allow visitors to come face-to-face with a kangaroo, hand-feed a giraffe and provide a shoulder perch for ring-tailed lemurs. 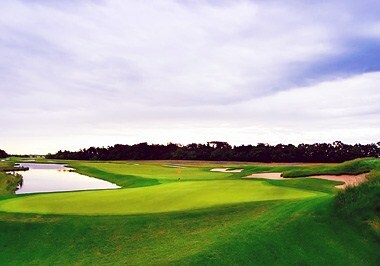 The park also features safari classes and overnight safari experiences. For an immersive music and entertainment experience, travel to the Old Town red brick warehouse district. The heart of Wichita's entertainment scene is lined with nightclubs, fine restaurants and live music venues showcasing the best in rock, jazz, country, blues and reggae. Old Town restaurants include the Larkspur Bistro & Bar, a comfortable white-linen bistro that specializes in a unique blend of Mediterranean, French, Italian and American fare. Located in the heart of Old Town, River City Brewing Co. is the city's only operating brewpub. In addition to serving handcrafted brews, River City Brewing Co. serves an expansive menu that showcases regional fare, including buffalo and Kansas-raised beef. 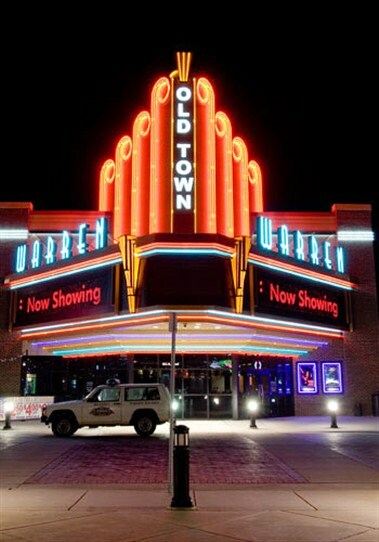 Serving South American inspired food, Old Town's Sabor Latin Bar & Grille is just one of Wichita's many ethnic eateries. Known for its signature sauces and frozen Mojito flights, Sabor Latin Bar & Grille also features sleek decor and bold flavors in such entries as lobster tacos and paella. Wichita experiences four distinct seasons. The city's coldest month is January, which brings an average high of 40°F and average low of 19°F, while July is the city's warmest month, with an average high of 93°F and average low of 70°F. Wichita sees an average of 28 inches of rain per year, with the most falling in spring and summer, along with an annual average of 15 inches of snow. 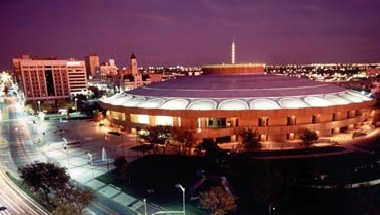 Wichita experiences frequent thunderstorms during the spring and summer months. The stunning, full-service Century II Performing Arts & Convention Center is located along the east bank of the Arkansas River, surrounded by two beautiful parks and an urban downtown atmosphere. The center features more than 200,000 square feet of exhibition space, including the 2,197-seat Concert Hall and intimate 652-seat theater. The center's expo hall, convention hall and exhibition hall can provide free-flow access and 195,000 total square feet when each room's partitions are open. When separate, the 93,000-square-foot expo hall features an adjoining 8,000-square-foot connecting lobby, while the 45,000-square-foot exhibition hall features expansive windows with downtown views and 17,500-square-foot mezzanine and convention hall with tiered seating for 4,786 guests or 32,000-square-foot of exhibition space. Center amenities include in-house electrical, telephone and catering service; free Wi-Fi throughout the facility, a variety of parking options and stunning river views. Century II is connected to the 303-room Hyatt Regency Wichita, which shares some meeting rooms with the center and features 28 meeting rooms of its own. Serving south-central Kansas, Wichita Mid-Continent Airport offers nonstop air service to major cities throughout the United States, including Atlanta, Las Vegas, Chicago, Dallas/Fort Worth, Houston, Phoenix/Mesa, Minneapolis and Denver. Wichita Mid-Continent serves an estimated 1.5 million annual passengers, with an annual airfield capacity of 500,000 operations. The two-level terminal features a variety of retail and dining options, as well as a rentable conference room on the mezzanine level. Making nearly 2 million fixed-route trips per year, the Wichita Transit Bus System operates 17 routes throughout the Wichita area. The bus system provides direct access to the Wichita Mid-Continent Airport via the Westside Connector route, as well as the Century II Performing Arts & Convention Center via the West Central route. Single-ride fare is $1.75 for adults and $1.50 for children, while a one-day bus ticket costs $5. Transfers are $0.25 each. The Wichita Transit Bus System operates Monday through Saturday. The Q-Line Trolley provides free evening service throughout downtown Wichita aboard nostalgic trolleys. The trolley service operates along nine designated stops; passengers can catch the trolley at intersections along the trolley route. The Q-Line Trolley runs Monday through Thursday from 6 to 10 PM, Friday from 6 PM to midnight and Saturday from noon to midnight. The Wichita Mid-Continent Airport features rental car counters for Alamo, Avis, Budget, Dollar, Enterprise, Hertz, National and Thrifty. The counters are located adjacent to baggage claim. Wichita Mid-Continent Airport passengers can utilize several taxi companies outside of the airport terminal. Approximate taxi fare from the airport to downtown Wichita costs approximately $18.